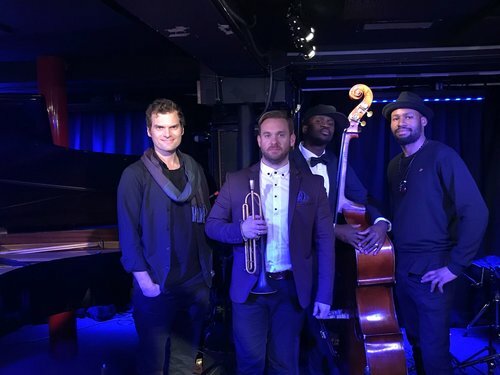 Trumpet/flugelhorn ace Quentin Collins is mixing things up with a new band and some pulsating, soulful sounds. His latest line-up included Andrew McCormack/piano, Daniel Casimir/bass and Shane Forbes/drums. The audience was clearly ready for this one, as the band played a range of Collins’ compositions, including Peace of Silver, in tribute to the late master and performed by the Kyle Eastwood Band. It was a special one, and places Collins right back on the front foot of outstanding lead trumpeters in this country.